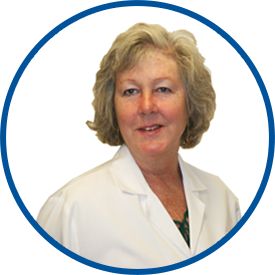 Judith Kulk is an experienced certified nurse practitioner with a diverse background in internal medicine, urgent care and occupational medicine. She is certified as a family nurse practitioner by the American Nurses Credentialing Center and has been a nurse practitioner for 15 years. Judith received her bachelor of science degree and her masters of science degree in nursing from Pace University. She worked in numerous capacities with DOCS/Beth Israel Medical Center: in urgent care, as an occupational health manager and as a family nurse practitioner in urgent/primary care. There she saw patients who were 6 years old and up. She was with Manor Medical Office in Pelham Manor since 2009. She joined WESTMED Medical Group in December 2011.
she was very thorough and even informed me about a past issue that I was unaware of that had been missed by another practitioner. i feel very comfortable in her presence, and also confident in her treatment advice. ALWAYS excellent experience with Judy Kulk and staff! *Judith Kulk, is an amazing NP. I refer to her as my doctor. I wouldn't change her for the world. I spent many years with various doctors and now I finally have a Team that treats me like an equal person and not a diagnosis or a number. This, in and of itself, increases my wellbeing. Judith Kulk, FNP is my primary provider by choice. She treats the whole person, not just a part of the body, as many specialists do. She reviews all my previous records, tests, medications and doctor visits each time I go. She takes the time to listen to and address any questions or concerns I may have.